The summer holidays are here! So it’s the perfect time to transform your child’s Playhouse into something special. A playhouse offers hours of fun for children and gives them the space to play with friends away from the house. 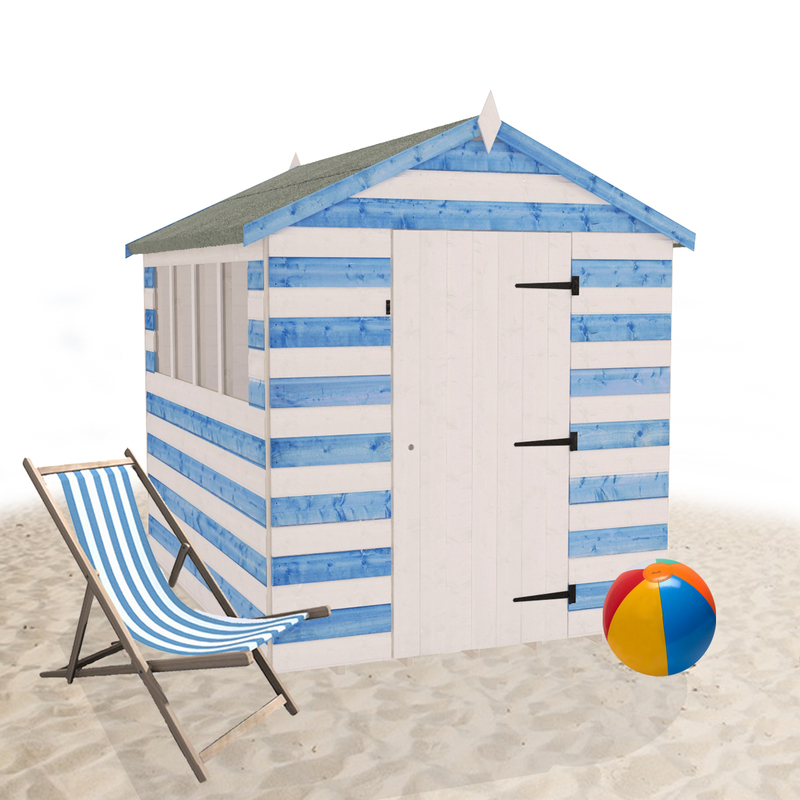 If you’re looking for a new playhouse view Tiger Sheds range here. Below are some great ideas on how you can convert your Playhouse into a Girl’s Dream House or a Boy’s Den. If you want to create a beautiful playhouse fit for a princess then we’ve picked out some great products that will transform your space into a Girl’s Dream House. 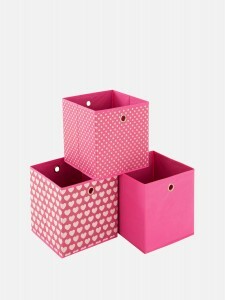 This girly bookcase and pink storage boxes from Very are both practical and decorative for your little girl’s Playhouse. 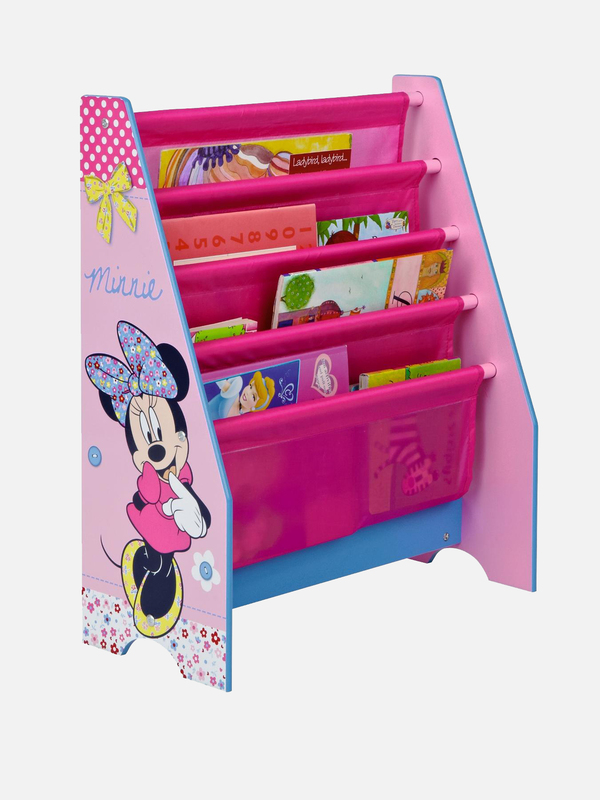 The Sling Bookcase makes reading fun and the storage boxes can be filled with their favourite dolls and toys. If you want to create a space that has a real homey touch then this feminine bedside table is perfect for you! Not only does it look wonderful but it’s also a great place for your children to keep their special toys. A beautiful product from Little Lucy Willow. 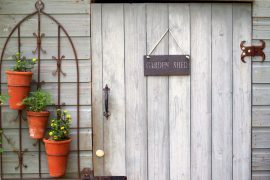 For a cute ‘cottage feel’ add some pretty curtains to your Playhouse. 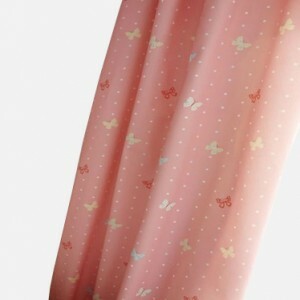 We love these Pink Butterfly Curtains from Children’s Rooms. 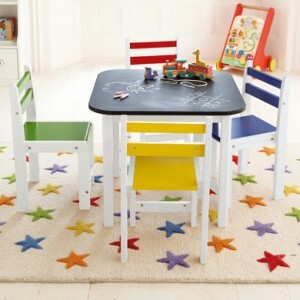 The colour and pattern will bring everything together and give any playhouse a fun and beautiful touch. Not to mention they match the Felt Butterfly stickers. Add a final feminine touch to your Dream House with some pretty pink bunting for a traditional Playhouse look! 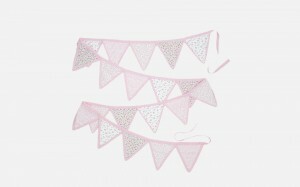 We love this Bunting from Laura Ashley. For a little boy’s Den it needs to be filled with loads of fun activities. 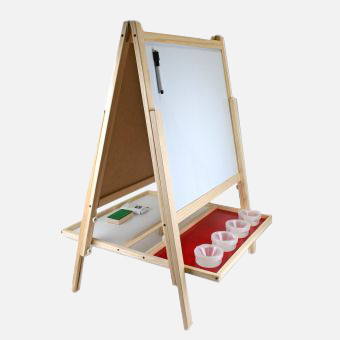 This 3-in-1 Activity Easel from Hobbycraft offers hours of endless creative fun! 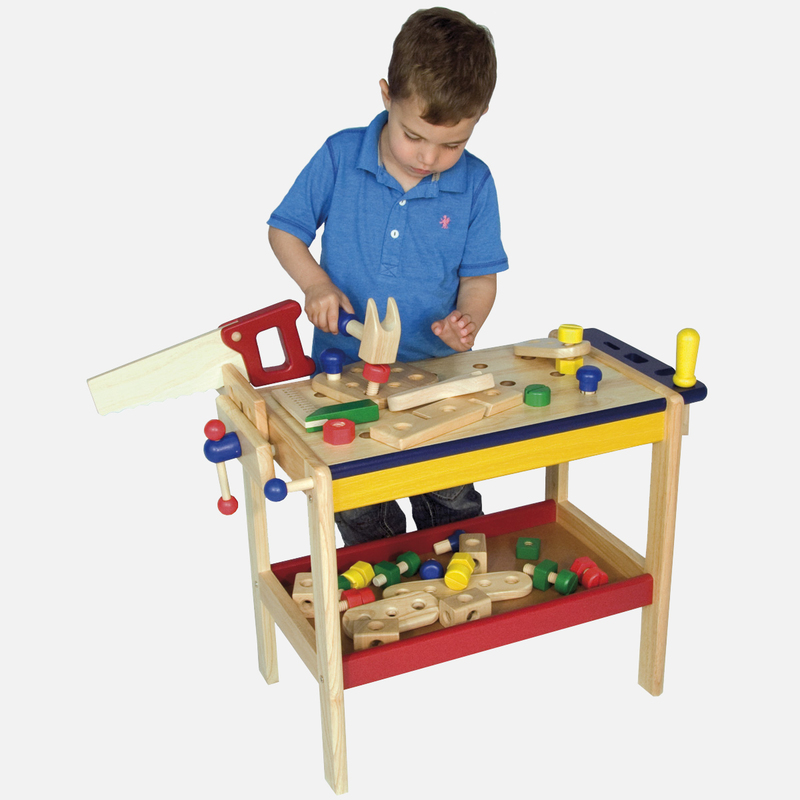 Make your little man feel all grown up with this Workbench from Mulberry Bush. Great activity for when it’s your turn to run a play-date! A Den should look cosy and comfortable; a place children hideaway with friends or play happily alone. 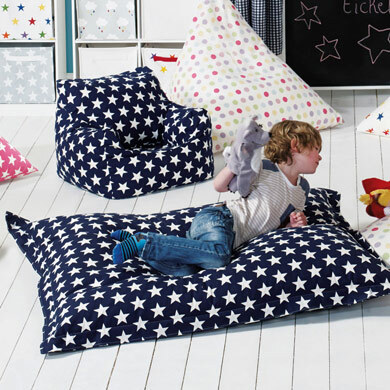 That’s why we think this over-sized Bean Bag from Great Little would be the ideal addition for your Playhouse. 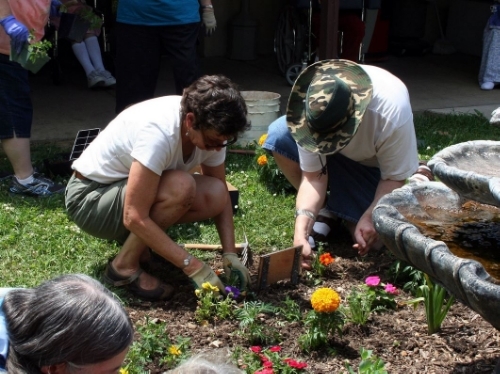 Another fun activity too add to the Playhouse! This Blackboard Table from Great Little is perfect for all the kids to enjoy and even works as a little table for playing, drawing and even eating. Perfect. 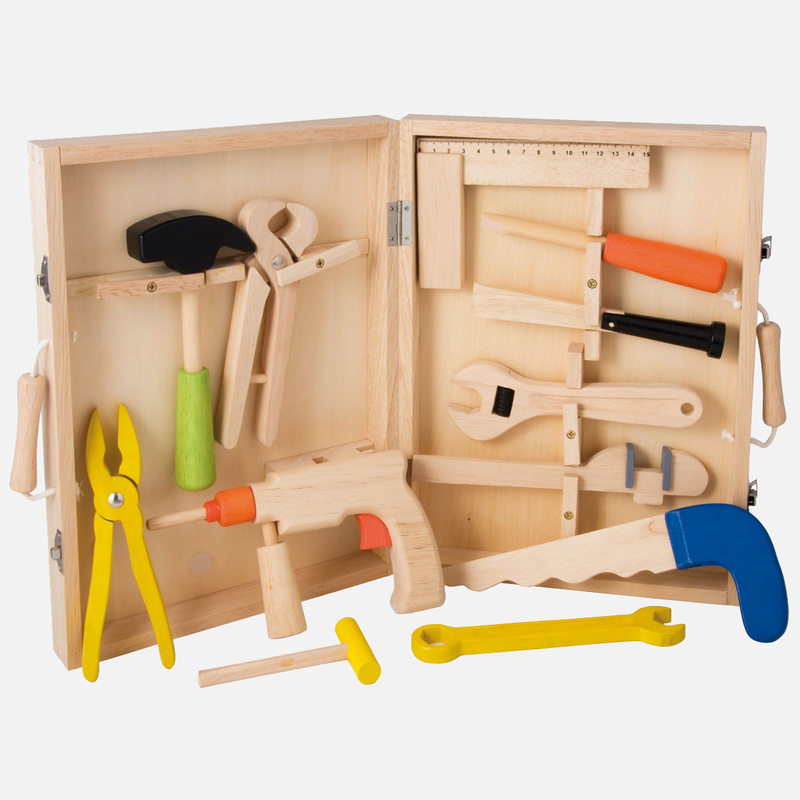 If a young man is going to have his first shed then it only seems fitting that they also have their first Toolset.We picked this wooden Toolset from Mulberry Bush. As we all know, most children can be a little messy. 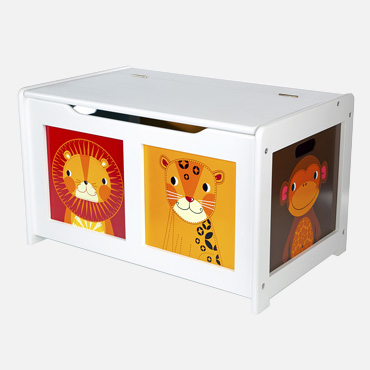 Make sure your newly transformed Playhouse stays neat and tidy with this Safari Toolbox from Jo Jo Maman Bèbè.